Lao Cai authorities have arrested a man for trafficking women to China. Major Ta Binh Nguyen, head of the Si Ma Cai Border Guard, said on April 1 that they had rescued two women and would prosecute Ly Seo Ca for human trafficking. 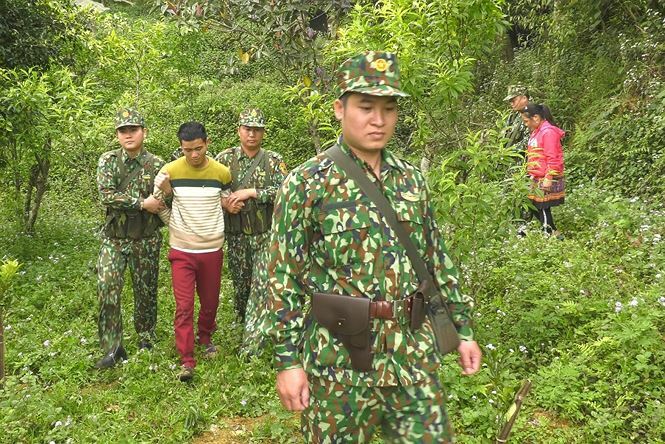 On March 27, the border guards found a man and woman fighting in the forest in Lu Di San Village, Si Ma Cai District, Lao Cai Province. Upon seeing the guards, the woman called for help while the man attempted to run away. The man was later identified as Ly Seo Ca, born in 1998, from H'Mong ethnic group in Van Yen District. Ca admitted having been going to China and was hired by another man to trick and sell women to him. Since last August, Ca has flirted with several women on social media and told them to come to his house to meet his family. However, they were brought straight to the border. Ca has sold two women and was caught while trying to sell the third victim for USD744. Si Ma Cai border guards then collaborated with Chinese police to rescue the victims. They have successfully rescued one woman and are finding another. According to Lao Cai border guards, women in the remote areas are being targeted in the human trafficking rings, including many children.